For the last 25 years, several members of our leadership team have worked together developing relationships with various individuals that are all at the top of the electrical safety industry. Recognizing the fact that each skill-set requires a lifetime commitment, Electrical Safety Specialists built a team of professionals to provide the highest quality of service available. 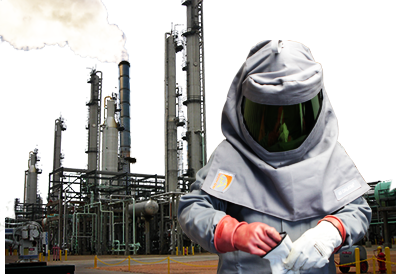 Our team is comprised of individuals with diverse backgrounds from Arc Flash Technicians and Electrical Safety Experts to Professional Engineers and Master Electricians. We are truly a one stop shop for all your electrical needs. We provide Arc Flash Risk Assessment, Electrical Safety Training, Electrical Thermal Imaging, LockOut/TagOut Custom Programs, Design of Electrical and Mechanical systems for commercial and industrial projects, Breaker and Transformer Testing, Preventative Maintenance, installation and repair of existing or new commercial or industrial equipment. Based in the heartland, just outside of Kansas City, Electrical Safety Specialists can be anywhere in the US in a matter of hours. With a long list of return clients ranging from healthcare, universities, space industry, manufacturing, to industrial, we pride ourselves in building long lasting relationships in the Electrical Safety Industry. Our belief in safety first and delivering the highest quality of workmanship possible gives us the opportunity to serve for years to come.